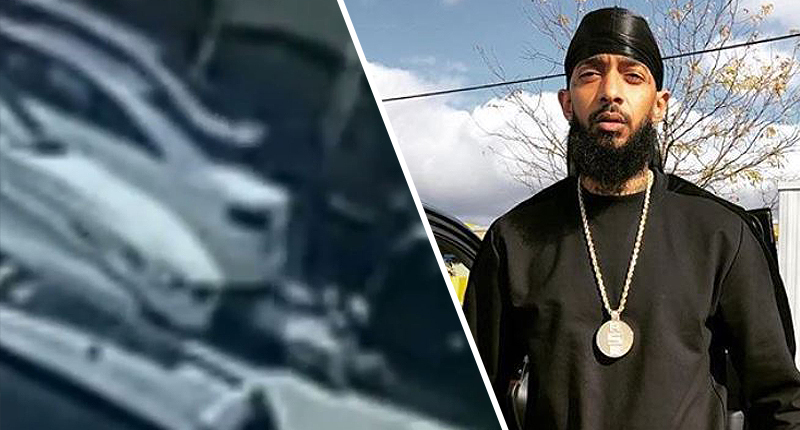 Following the death of rapper and respected industry disruptor, Nipsey Hussle, police are looking to surveillance footage of the shooting which ended his life for answers. Nipsey Hussle – real name Ermias Davidson Asghedom – was shot dead in Los Angeles in a shooting which wounded two other people. Newly released CCTV footage shows the 33-year-old was shot a number of times, after the suspect and he conducted a reportedly tense conversation. Asghedom was pronounced dead on arrival at an LA hospital. The Victory Lap Grammy award nominee had been outside his own shop, The Marathon Clothing, in south Los Angeles when the fatal shooting happened. CCTV footage was acquired by police from the adjacent business and shows there were several witnesses to the shooting, in which two other people were wounded but survived. Law enforcement are looking for a black male in his twenties and a female suspect who allegedly drove the car in which the shooter departed the scene. The shooting is said to be gang related. Tragically, it has since been confirmed Asghedom had planned to meet with LAPD’s police chief and commissioner on Monday afternoon to discuss a plan to prevent gang violence. Growing up as a kid, I was looking for somebody — not to give me anything — but somebody that cared. Someone that was creating the potential for change and that had an agenda outside of their own self interests.